Operating a storage facility isn’t always easy. It might look like all fun and games on the TV show “Storage Wars,” but the cameras aren’t rolling when you’re doing paperwork and going to court, which is unfortunately a regular part of the job. If customers paid their bills — in full and on time — storage facility operators would have it relatively easy. But many of them don’t, and then you have to take action. Placing a storage locker lien and eventually auctioning its contents isn’t as easy as it might seem. It’s true, hoarders are a big part of the storage business. But another big part is military personnel. Active servicemembers are frequently deployed to far-away locations or reassigned to different bases in the United States or even overseas. They don’t get a lot of notice before they receive these orders, and they may not be able to quickly pack up everything and take it with them. Shipping it to relatives for safekeeping is expensive, so they depend on storage facilities. The problem is, once they’ve left town, these servicemembers can be hard to track down again. Even if they sincerely want to pay their storage facility bill, they may not be receiving their mail properly or on time. Or they may be carrying out a challenging assignment that leaves them little time and energy to think about their storage locker bill. You may have sympathy for them, but you are, after all, running a business. You have bills to pay too. 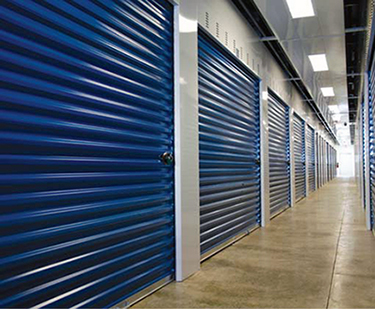 The protocol for storage locker fees in arrears is for facilities to place liens on them. Debtors can find themselves with liens on their other property as well, such as their homes or cars. If you place the lien, give the tenant notice and get no response, the next step is usually an auction. The lien allows you to auction the contents of the storage locker in order to recoup your losses on the unpaid rental fees. But you can’t just place a lien on servicemembers’ lockers. They are protected under the federal Servicemembers Civil Relief Act. This law prohibits collections actions and lawsuits against servicemembers without a court order. You may think you know who’s a servicemember and who isn’t. But do you really know anyone’s life? It’s best not to guess in situations like these. You can face stiff penalties and fines if you’re wrong. The Department of Justice has sued more than one storage facility and won large judgments against them in the hundreds of thousands of dollars. Before you start the process of placing a lien on a storage locker, you must be sure the tenant isn’t a servicemember. How can you find out?You can write to each military branch, pay the fees and wait for a response. But, this can take months, if you get an answer at all. If you have neither the social security number, nor a date of birth, you cannot obtain a response from the DMDC. A better option is relying on the Servicemembers Civil Relief Act Centralized Verification Service. We guarantee verification of a tenant’s military status in 24 hours. All you have to do is give us the name of the tenant and other identifying information, such as address, Social Security number, birthdate, etc. The more information you provide, the quicker your response. If you don’t have the Social Security number, we can look it up for you. The cost of $36.40 pales in comparison to the time you would waste waiting for the DMDC. And time is money — more money lost. An affidavit to bring to court with you is only $20 extra, and also guaranteed within 24 hours. If you have a number of tenants in default, you can submit a batch to the SCRACVS and get a volume discount. Don’t risk losing more money paying fines to the government because you failed to do your homework. Register at SCRACVS today and receive your military status verification by tomorrow.